The Canadian Athletics Coaching Center has a wealth of free coaching articles, including a great article I referenced on Valeri Borzov’s mental preparation before a race. If you are interested in more advanced topics such as developing Strength, Power and Mobility, then check out this article from Dan Pfaff. During the last two decades no biomotor quality has been explored in scientific research studies more so than strength. We have seen entire industries evolve around this concept through the endless search for an easier, faster way to athletic excellence. Machines, drugs, nutritional supplements, training programs, exercise routines, etc. have been examined, proposed, and exulted by just about anyone actively involved with physical culture. There are as many approaches to developing this very fundamental quality as there are athletes, coaches, researchers and therapists. The development of strength presents unique puzzles in that so many other biomotor and biomechanical factors have to be accounted for while addressing this particular quality. In the arena of track and field, the term power seems to be the “buzz word” of the times. The enhancement of power’ however can be severely restricted if general strength parameters, mobility, and posture are not addressed. It is the goal of this article to offer some insight into the philosophies used during our training sessions to remedy some of the aforementioned conflicts. Throughout recorded history “posture” has been a keen topic of artists, anatomists, the military, sportsmen, and the medical arts. In sport we speak of body mechanics when describing sport posture. This term refers to both the static and functional relationships between body parts and the body as a whole. The concept includes over 200 bones and some 600 muscles not to mention the endless chains of fascia and various connective tissue systems. Efficient body mechanics is a function of balance and poise of the body in all positions possible including standing, lying, sitting, during movements and in a variety of mediums. These systems are monitored, driven and controlled by a complex network of proprioceptors and their related members. Maximum physiological and mechanical function does sometimes serve as a guide for correct postures. These functions can be further evaluated by observing excessive stress on joints, connective tissue, muscles, and coordinative action. In the sport of track and field, “active alerted posture” is the goal of all sportsmen. Poor mobility, strength imbalances, overuse injuries, discoordination, etc. can often times be trace back to these postural tenets. While specialized training can sometimes lead to postural improvement it is my belief that general activities that enhance posture, joint strength, muscle and joint coordination, and all aspects of mobility are in short supply with today’s youth. A highly sedentary lifestyle exhibited by today’s society has precluded the acquisition of these general qualities once found in abundance several generations ago. 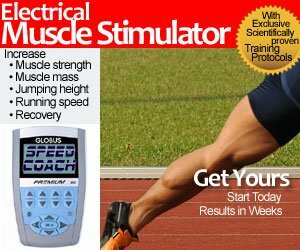 I have found that the introduction of highly specialized, event specific training stimuli can be the source of tremendous frustration and reoccurring injury patterns if these “foundational items” have not been developed, been given time to stabilize and then in a systematic format undergo actualization in a variety of conditions, thresholds, and environments. Therefore, our athletes include a great deal of remedial and ancillary work of this type in our training schedules. As the athlete acquires more efficient postures during very simple motor tasks we find the more advanced skills evolve at a quicker rate and that long term repetitive injury patterns lessen or are eliminated. The template and coping skill that is formulated during the basic skill activity seems to lay large foundations for superior athletic skills. The repertoire of activities used to enhance functional postural integrity and as a result latent power resources is limited only by one’s creativity and knowledge of kinesiological principles. As this integrity is evolved, then more sophisticated and advanced movement skills result. Listed below are select items from the menu of training schemes that we implement at various sessions throughout the training year. Volumes, intensities, densities, and rest to work ratios are influenced by training age, time of the season, medical and skill parameters. In this listing of works the implementation, analysis, and motor re-education is based on athletic needs, weaknesses, and homeostatic levels of function. Sprint exercises involve various movements horizontally through space whereby limbs are placed through unique ranges of movement under varying thresholds of velocities and force considerations. Multiple throw exercises involve various rotations, flexion/extension factors, and both intra- and inter- muscular coordination. Multiple jump series can and will address similar biophysical factors. Dynamic and hurdle mobility series put unique challenges on the proprioceptive organelles and central nervous systems. Medicine ball work is very multifaceted and can be utilized for a wide range of factors in functional movement parameters. 1. Low walks: the athlete assumes a half squat depth and proceeds to walk a given distance maintaining proper squat positions and center of mass height the entire duration of the walk. These walks can be done forward, backward, and laterally. For advanced training the coach can toss a medicine ball to the athlete while engaged in walking, throws can be varied in location to increase task difficulty. As skill levels develop the coach can play with depths, distances, volumes, and work to rest ratios. 2. Duck walks: the athlete assumes a half squat depth and proceeds to walk with a fuller extension of the knee joint than in the previous exercise prescription. Multiple direction training again should be used as can apparatus. 3. Lunge Extensions walks: the athlete takes a long, lunge like step with maximum leg split. After a short pause in this position they should then rise up over the front leg in a tall as possible position while passing the base of support and then land on the opposite leg in a similar split attitude. Holding a medicine ball in various positions will increase degree of difficulty. Overhead, on the side, behind the back, and in front with arms fully extended are common positions for ball positioning. This is a multiple jump or plyometric based series whereby the athlete does various jumping skills using various amplitudes of flight and very specific wavelengths in terms of distance covered. A secondary section, series B utilizes various movements where one can play with power/speed components in an elastic emphasis environment. The height of displacement and distance of each flight phase in series B is dependent upon biophysical demands. Amortization skill, connective tissue reactivity, balance and synchronization are key components to this acquisition. In series A the rise of the center of mass should be very restricted and is seldom more than 10 cm (4 inches) in amplitude. The length of each jump is anywhere from 30cm (1 foot) to 90cm (3 feet). Uniform joint extension and flexion is paramount. In either series distances covered, rest intervals, volumes, etc. should follow sound training theory constructs for age, time of year, health of athlete and specific identified needs of skill. All of the above can be done at different heights, spacings, and hurdle count. Common series finds one doing 1-3 sets of 5-10 hurdles per exercise. Pace and rest intervals can tax various neuromuscular and energy systems in route. Hello Mr. Dan Pfaff. I am currently a sophmore in which is participating in track and feild. I throw the shot-put and discus. This year makes my second year throwing and i’m still throwing the same length, which is 80-90ft average. My problem is the fact that i cannot keep my throwing hand torked back behind me. As a result, i become off balance and loose much needed feet in my throw. I’m very dedicated in this sport and i’m sincere about my throws. My shot-put average is 29ft. My dad is my personal coach and he tries his best to break my habbit of not torking my arm back, but at times there are difficulties at the fact that my dad has diabetes and is slowly loosing eyesight in one of his eyes. -If there is techniques that you have in mind for me to do please contact my me at (808)-689-0751. Ask for my dad, Stacey or me,kehau. Thank you for your time in reading this.